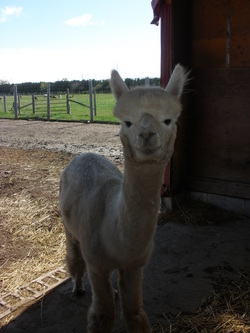 At Alpaca Central, we firmly believe in breeding only for the best quality in fleece, confirmation and temperament characteristics. To meet these objectives, we have amassed diverse genetics within our herd and carefully assess our dams prior to breeding to determine how we can enhance their qualities to capture the best of both bloodlines during breeding. Unfortunately it would be impossible to use each and every male that is born on the farm as a herdsire as not all males fit into our current breeding program for various reasons. Sometimes we have already saturated our herd with their genetic lines or we don’t have suitable dams that would compliment a specific male’s genetic quality. We are therefore able to offer our males to other farms as potential herdsires. Just because he doesn’t fit into our breeding program, doesn’t mean he won’t fit into yours. We have always said “the proof is in the progeny”. 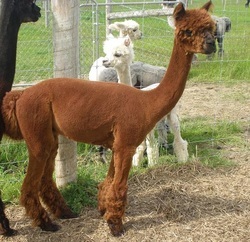 If you are in the market for a stud male, we invite you visit Alpaca Central to look at the fleece, look at the animals and make an informed decision and purchase. We often have excellent quality males suitable as herdsires for sale. Why buy a single breeding when you can purchase the entire male and use him as often as you like? Everyone needs to start somewhere! 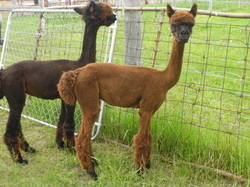 These fabulous young males have the sought after characteristics to enhance any breeding program. From fleece fineness, crimp, density and length to perfect confirmation, bite and sound temperament, they will soon be old enough to start their breeding career. In order to maximize the potential of your breeding program only the males displaying the most disarable charactersitics should be used as herdsires. This leaves a good portion of decent males without a job. 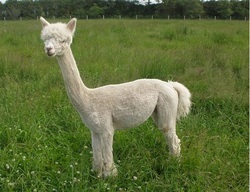 Many of our fibre males have exceptional fleece but are missing something that has kept them from herdsire "status". 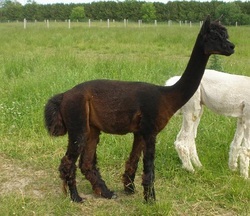 They are perfect for fibre enthusiasts or hobby farmers who are interested in owning alpacas but do not want to get involved with breeding. 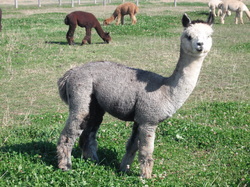 Keep in mind that alpacas are herd animals and must always have a buddy.